ABANDONED my 3rd bridge project is almost completed. The wooden bridge was abandoned by the RR for a better route and stronger steel viaduct. 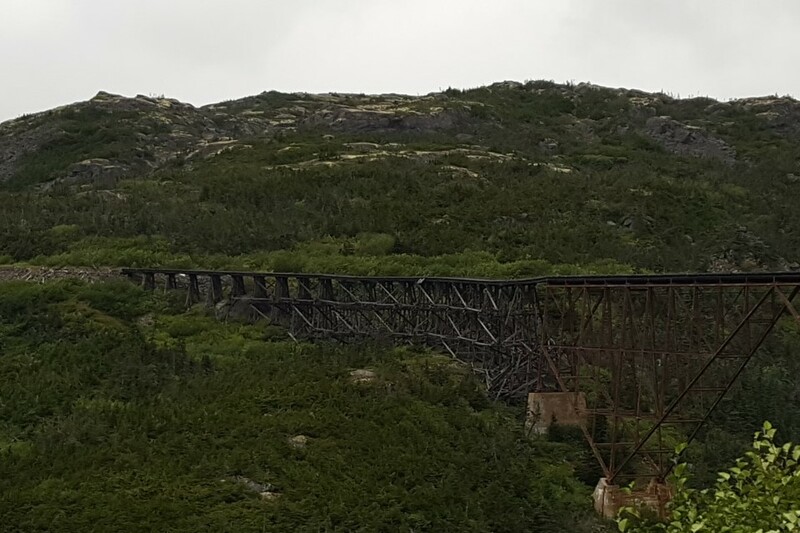 A friend of mine said, on his train trip across the US he seen lots of these abandon bridges. George, that is an awesome bridge just to be abandoned. Very nice idea though. Thanks Jerome, There's a 8 ft chain link fence on each side of the bridge to stop 4 wheelers from crossing. The 2nd part of the abandon bridge project. A fire broke out in the grasslands next to the RR tracks near the steel viaduct. The Janesville fire department quickly extinguished it. I installed very small LEDS in the light bar and ditch lights of the fire truck. Their only the size of a pencil point but are very bright. And even fire hoses!! Very nice work George. I used to drive a hirail fire truck, this takes me back! Thanks Rico. I have a lot of volunteer fireman friends I guess that's why I wanted to do the scene. Looks a little TOO well done! From the White Pass & Yukon last summer.